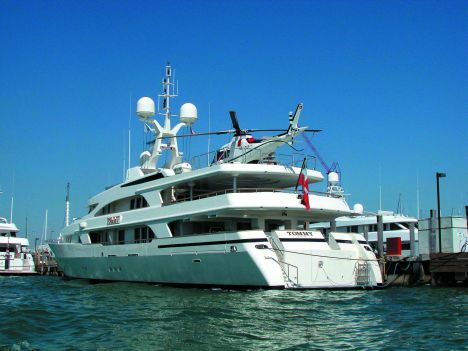 The architecture and proportioning of large yachts have changed considerably over the years, especially if we compare one of today's megayachts with those built at the start of the sector's contemporary history in the 50's and 60's. Functional and space requirements have generally led to an enormous increase in the distribution of superstructure volumes on many of today's yachts, and I feel that in certain cases this has made them considerably ugly, not to say vulgar. 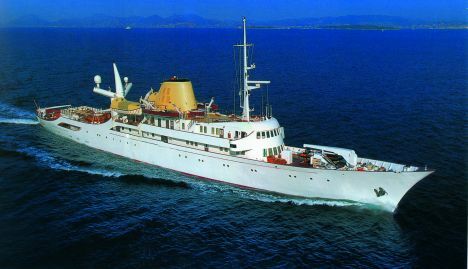 Let's take a look for example at the classic Christina which, once owned by Onassis, we may consider the Yacht par excellence both because it was among the largest of its time and because of its fame due to the history and personality of its most renowned owner and the equally famous women that came aboard. Christina is a fine boat, narrow and long but with incredibly limited space in comparison with what a modern megayacht offers its guests today. Yet it transmits an unmistakeable sensation of nobility and elegance all of its own. We may make a similar comparison between a cruise ship of today and one of 30 or 40 years ago: not much has remained of that concept of "vessel", its intrinsic expression of elegance, power and seaworthiness. 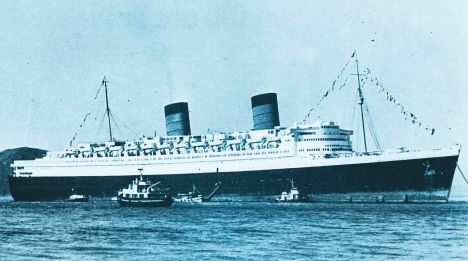 Today's "liners" cannot be compared with ships of the past such as the highly elegant Queen Elizabeth, Leonardo da Vinci or Cristoforo Colombo: it would be like linking the concepts of sports cars and campers. The architecture of many yachts has unfortunately taken this direction: boats of the same dimensions are increasingly taller and broader, with more voluminous superstructures and the sections of the hull stockier, all motivated by the constant search for interior volumes. It is almost as if yachting has become merely a "real estate question". On the other hand this is natural because the reasons behind big boat yachting today are far different from what they once were. Yachts were the absolute status symbol. The owners wanted simply to be aboard a fine object and enjoy the sea. To be noted in the classic jet set places all you had to do was get there, and the rest was done by the fact that there were very few great yachts and that maybe your neighbour on the quay was the British royal yacht Britannia. 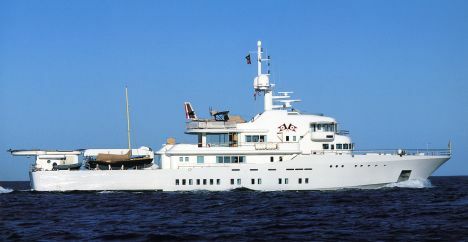 Now it's quite different because the megayacht represents a combination of a great many requirements. Its role as status symbol remains of course, but the yacht today is certainly seen more as a place for amusement and refuge, for seeking solitary holidays in distant and therefore exclusive places. So far so good, and all the more so since this need also led to the development of a specific market niche: explorer yachts with their very marked personality. The bad side came with the attempt to combine various "functions": a luxury object that was also a self-powered villa, offering the space and comfort of a large house and perhaps something more, since a yacht, the great toy, is the realisation of the owner's dreams. This is why certain megayachts have become a heap of incredible accessories: hydro-massage tubs everywhere, gym, sauna, quantities of jet skis, sailboats on the deck, hovercrafts. Someone even carried a submarine! Not possessing a helicopter could be seen as a sign of economic weakness, so it's better to have at least the pad. With all these gadgets you need, apart from the standard crew, a personal trainer, a dive master, pilots, baby sitters and maybe a few bodyguards and so on. As a consequence we witness the birth of the floating villa, enormous, chockfull of accessories and often graceless. To design a megayacht nowadays you start out from the size and number of on- board "toys" and not from general requirements such as number of cabins or the range of the vessel. Design today is particularly highly conditioned by the tenders. Increasingly large and numerous, these must be housed in garages below deck, thus stealing cabin space. So the cabins are "thrust" upwards, which involves an increase in superstructure volumes. In certain cases the process appears to be unstoppable and has led to the "birth" of boats that you will not forget if you see them, but you certainly won't remember them for their refinement.